National CashFlow Competition 2016 - Board Game Competition is Back Again! 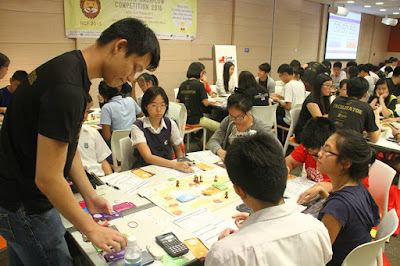 Have you ever thought that you could have a glimpse of your future in Singapore and understand how making the right financial decisions can affect your life indefinitely? Do you think that making decisions on buying a house, buying insurance, investing in stocks, bonds and even starting a business is too much to handle? As a young person growing up in Singapore, inevitably we will have concerns for the future. Now, with a newly designed board game called Asset Finesse™ (AF), we can experience making financial decisions for our future. The best thing is when we make a wrong decision, we can learn from it and not make the same mistake in our real lives. 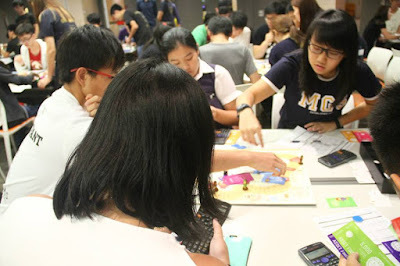 Long time readers of my blog would remember I went for a board game competition event last year which was organised by NTU interactive investment club. 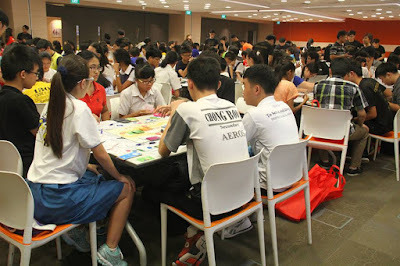 The event saw more than 500 participants from 44 different schools coming together to play a locally designed financial board game and compete against each other to see who can survive in the harsh financial world. 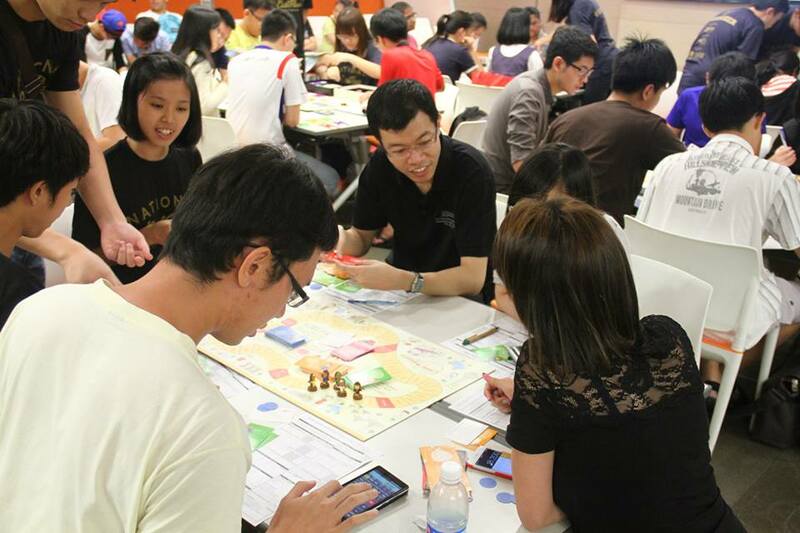 In the game, players get to make decisions on investing in stocks, starting a business, starting a family and buying a house, investing in bonds, insurance, unit trusts and many more. It was heartening to see many people coming together to learn more about how financial decisions actually affect their lives in the future. 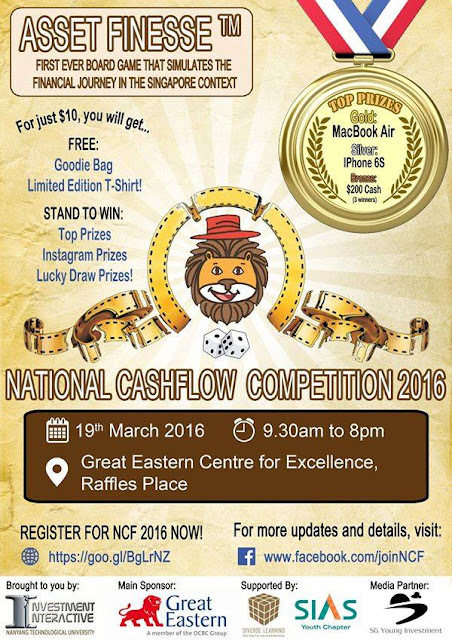 This year, My blog SG Young Investment will be the official media partner for National CashFlow Competition 2016. 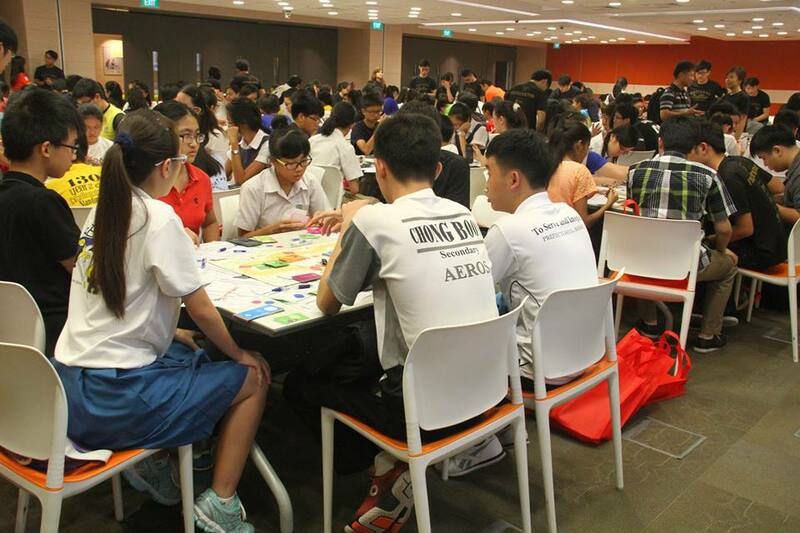 I am a supporter of financial literacy and I think NTU has done a very good job is bringing financial literacy to more people out there. 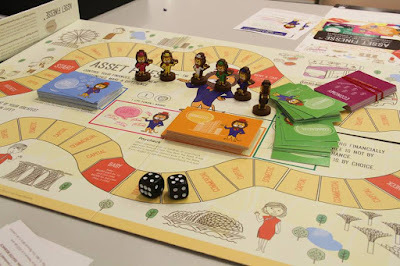 We all have the opportunity to play this board game again. It doesn't matter if you're a student, teacher, adult, young or old, all are welcome to participate in this competition which will take place on 19th March 2016. Besides having fun, there are great prizes to be won too. The registration fee is only $10. Participants will get an exclusive NCF 2016 t-shirt, a goodie bag and refreshments throughout the day! You may just be the next person to win away one of these great prizes. Buying a property can be confusing for many first time buyers in Singapore. What should we do first and how should we find the property we desire? With so many rules governing the property market, it takes some knowledge to be able to make the right decisions. Making the wrong decisions can be costly where we end up forfeiting the property if we cannot get a loan or can't afford to continue paying for the property along the way. With this, I will try to write down the step by step procedures to buying a property in Singapore and give you some tips which will get you the best cost savings for your property purchase. Let's start off with the first step: Searching for a property. Do I need a property agent in order to search for a property to buy? This may be a question that is on many property buyers' mind. Gone are the days where we need to rely solely on property agent's expertise to find us a property. We can be our own property agent these days. How can we do it? Simple... we have online platforms where we can find properties easily. One such platform is from SRX property. I can key in the area where I'm interested, the property type, the price and even any MRTs or Schools which I want the property to be near to. Once you click search, one whole list of properties which match your criteria will appear and you can select the properties which you're interested in. You can see the price of the property, a virtual tour of the entire property and other important information such as price per square foot etc. There are other platforms such as property guru which also offers similar search engines for property hunting. If you find a property agent to search for the property for you, you will have to pay some extra money. Most property agents charge an average of 0.5%-1% of the property price. Searching on platforms is completely free of charge. Accessing your affordability - Can I Afford A Loan? So now, you may have found some properties which you're interested in but can you afford it? Accessing your affordability is the most important part of the property buying process. Nowadays, it is very difficult for anyone to buy a property with cash. Most of us have to take a loan for it. Getting a loan can be tricky with all the cooling measures in place. Did you know since 2010, the government has introduced about 8 cooling measures to cool the property market? We need to know these before we can make better decisions for our property purchase. The amount of loan we are eligible for has been reduced by a significant amount. We can only borrow a maximum of 80% of the property price and still have to meet an income requirement. This is know as the Mortgage Servicing Ratio (MSR) for HDB flats and the Total Debt Servicing Ratio (TDSR) for private properties and HDB as well. The MSR is set at 30% of our gross monthly income. This simply means that if our income is $4000, the maximum loan instalment we can have per month for housing loans is $1200. The MSR is for the purchase of HDB flats. HDB flats are also subjected to the TDSR which is set at 60%. This simply means that if our income is $4000, the maximum loan instalment we can have per month is $2400. TDSR includes housing loans, car loans, student loans, credit card debts etc. If you're still confuse about the cooling measures and how much loan you can get, try the free calculator here. After searching and accessing if you can afford the property, its time to take action to buy the house of your dreams. Here I will let you understand more on what you should do to make your property purchase a smooth sailing one and provide you the procedures which you can follow. Buying a HDB BTO is not much of a problem since HDB will definitely guide you along for this. The Home Loan Eligibility (HLE) letter is the key for HDB BTO if you intend to take a HDB loan. Check your eligibility to buy, eligibility for HDB or bank loan and check your finances. The signing of agreement of lease will happen within 4 months after you book a flat. You are required to submit the letter of offer (LO) if you are taking a bank loan. For the bank loan, you can get the LO through an approval in principal (AIP) with any of the banks in Singapore. I can also do the AIP for you with the bank. Just contact me and I'll guide you along. BTO Tip: If you're looking out for a BTO soon, you can subscribe to a free alert service by HDB here. For HDB resale, the buying process is between you and the seller of the HDB. A property agent may be involved in the process with a law firm compulsory to execute the transactions. Before purchasing a resale flat, check how much loan you are eligible for. You can engage the services of a mortgage broker or approach the banks for assistance. Do an approval in principal (AIP) with the bank before you sign the option to purchase (OTP) with the seller. Most AIP are valid for 1 month. You have only 2 weeks to decide whether to exercise the OTP to buy the property before it expires. Your LO for the loan must be out within this 2 weeks. If you already did an AIP previously, then you don't have to worry about this. Before second appointment with HDB, you should proceed to law firm to sign all mortgage documents and pay legal fees, COV. You have 2 weeks to decide whether to exercise the OTP to buy the property before it expires. Your LO for the loan must be out within this 2 weeks. If you already did an AIP previously, then you don't have to worry about this. After researching and writing on topics related to property since 2014, I've got to learn much more about property purchase over the years. From what I see, buying a property isn't the main issue but the issue is with getting the loan approved. 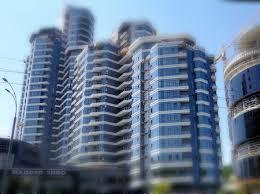 Getting a loan is an integral part of purchasing a property in Singapore. There are currently more than 16 banks in Singapore all with different loan packages and interest rates. When we get the option to purchase (OTP) for the property, do take note that we only have 2 weeks to produce the letter of offer to exercise the OTP. This is a very short time to get the loan approved although it is possible but it will result in a lot of anxiety and stress because of the tight timeline. Thus, before buying a property, it is important to do an Approval In Principal (AIP) so that we know our loan eligibility and get the approval for the loan as well. Another thinf tk note is if we do the AIP with bank A, we will be getting the loan from bank A as well. If we want to get the best rates for our loan package, then we should apply the AIP with the right bank right at the start. But, with so many banks to choose from, how do we know which has the best rates? I do have tie up with all the banks in Singapore and I know which bank has the best rate for home loans. I have also screened through a selective group of bankers to provide you the best and most efficient service. Furthermore, I also have tie up with various law firms in Singapore to help you save on your legal costs. If you would like to do an AIP for your new property purchase or get a new home loan, you can email me at sgyi@homeloanwhiz.com.sg. I can also advise you on your loan eligibility. You can click on this LINK for more information on the service I provide. Buying a property can be a fuss free experience in Singapore if we know the procedures for it. We definitely do not want to be caught off guard and add to our stress and anxiety when owning a home should be an enjoyable process. Take action and equip yourself with the knowledge in property purchase today! 2. Can I Buy A Private Property If I Own A HDB? It has been quite some time since I wrote about financial freedom and more specifically my journey towards it. Over the years, I realised there are many different views towards financial planning. Some would think it is not necessary to plan ahead and don't have to worry too much about money. Others will think its important to save money and plan ahead. Ultimately, what I strongly believe in is different mindsets will lead to different outcomes. For example, if a person thinks his retirement will be taken care of by the government or his children, most probably this person will not plan for his own retirement. I would say everyone worries for their own retirement and whether they have enough to live during their old age but how they see that the retirement is provided will determine what they do now. If they think that other people will take care of them during retirement, what they would do now is nothing. Financial freedom or financial independence is a different form of retirement. It is not about retiring from work and do nothing but its about making the best out of our lives. In essence, it is about living life to the fullest. More often than not, we humans focus on the what and how of our lives. What can we do to make more money? How can we achieve financial freedom? But, before we focus on the what and how, we should actually think about the "why". Thinking about the "why" will give us a sense of purpose and meaning of what we are doing now. Why do we work? Why do we want financial freedom? Why do we want to live our lives? Knowing the "why" clearly in our minds will steer us in the right direction. If we just know the what and how, we will start to feel emptiness in what we do at some point in our lives. If you know your why, your what has more impact because you're walking in or towards your purpose. This made me think about why I started this blog. 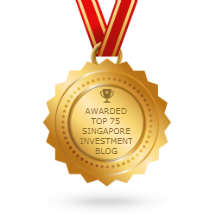 For readers who are new to my blog, I actually started SG Young Investment back in 2013. It has been almost 3 years since I started writing. Back then, it was the busiest period of my life where I was juggling between full time work and part time studies for my degree. It took me a long time to decide which course I want to take. I made a decision why I wanted to go back to studies after working for about 2 years. My motivation was not the certification which I would get, it was the things that I could learn during the course of study. I was interested in economics and doing research. Throughout the course, I had to do lots of research and reading up and also writing essays after essays. I realised my love for writing and started this blog. But, the main motivation of starting this blog is to reach out to more people on the importance of financial planning. I always feel sad when I see people or families who get into financial problems. All these can actually be avoided if we just have a little knowledge and live our lives more prudently. More than that, I actually believe in financial freedom and financial independence. I believe we can live our lives to the fullest and do what we really like. I don't want to live my life doing what I don't like just for money. That was the essence of why I started the blog. I still hope to reach out to more people and make an even greater impact. What and how I do has more purpose because of the why. Do you know the "why" in what you are doing in your life now? If you are lost in what you do, consider taking some time to think about the why in what you do. You may just find the purpose to live your life to the fullest.